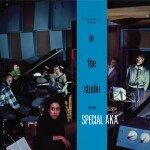 The three original studio albums from the legendary 2-Tone ska act The Specials — 1979’s The Specials, 1980’s More Specials and 1984’s In the Studio, the latter of which was released under the band’s original name, The Special AKA — will be reissued this March in expanded 2CD sets featuring non-album singles, live material, instrumentals and Peel sessions. Due out March 30 via 2 Tone Records/Warners Catalogue, the deluxe editions feature the three original albums remastered by Tim Debney, and each features a second disc packed with bonus tracks. The Specials: The Too Much Too Young live EP plus a previously-unavailable-on-CD concert recorded for the BBC at the Paris Theatre in December 1979. More Specials: Non-album singles, including the classic “Ghost Town,” John Peel session recordings, and various extended and single version. 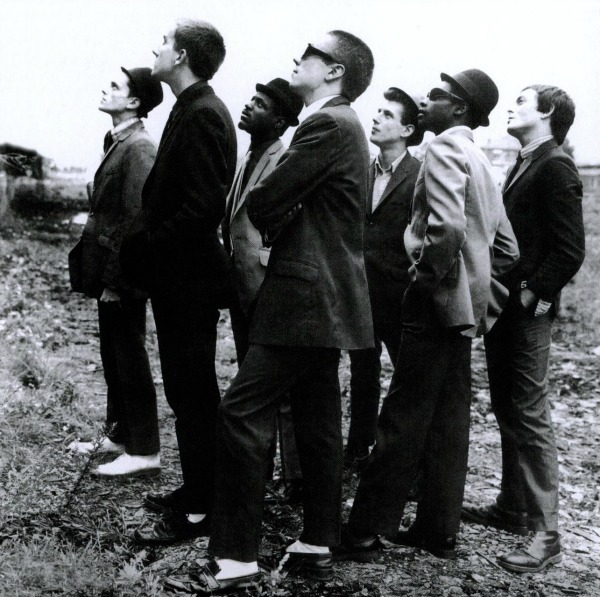 The Specials reunited in 2008 without co-founder Jerry Dammers. In 2013, co-vocalist Neville Staples left the band. The group is currently set to perform its first-ever concert in Mexico on March 12. Do we know if these are domestic or overseas releases? Was contemplating snagging the first two albums on a twofer, but the first one looks intriguing. Not going to bother with the third release. Let’s call it what it is: Jerry Dammers’ Chinese Democracy. “Jerry Drammers Chinese Democracy”…good one Scott, most impressive. It really seems hit or miss on these overseas releases. The Jam and Big Country double disc reissues came out a few months after their European releases but the XTC reissues seem be permanent imports based on their high prices domestically. I think these will definitely be released domestically. I’m gonna’ pass as I can’t see them improving the sound quality beyond the previous single disc remasters which were very well done. I also picked up Stereotypical three disc collection that is remastered and has all of the above minus the live tracks. You can still get it used cheap on Amazon if you want to skip the above. That is a great set. Hey, thanks for the info and appreciating the reference. I’ll look into this compilation and get that twofer I’ve seen floating around. And I’m sure Jerry’s an alright fellow. He seemed as much on the Radio 4 doco on 2 Tone Phil Jupitus did, but after a certain point with the line-up, it all goes a bit Skynyrd, doesn’t it? Probably a rights issue. Isn’t it always? What we really need is an album of JERRY DAMMER´s SPATIAL AKA ORCHESTRA and new songs of the SPECIALS..
A nice thought, but not sure it will ever happen. The old chinks in the armor would doubtlessly reappear. Not entirely sure they haven’t, what with Neville bolting from the band. Cool to see these coming out. I like the alternative artwork. A few unreleased tracks including ‘Guns of Navarone’ live in Paris (rest of that show was released on the ‘BBC Radio 1 Live in Concert Specials and Selecter’ disc), and the ‘Break Down the Door’ and ‘Nelson Mandela’ instrumentals (assuming the War Crimes instrumental is the b-side, ‘Version’). Agree it would be nice to get DVDs. Have the videos on PAL DVD/CD-ROM/bootleg DVD but nothing official that plays on US DVD players. Hope they also finally do a proper release of the two Selecter albums on CD. It’s crazy these haven’t been released. Kinda bummed that ‘More Specials’ doesn’t include “Braggin’ and Tryin’ Not to Lie” on the second disc. It really belongs there, and it makes no sense why it wouldn’t be on there. Was wondering the same. Maybe because it is attributed to ‘Roddy Radiation & The Specials’ as the artist on the label? That would make sense. 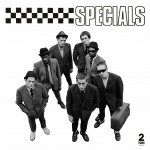 However, I’m pretty sure “Rude Boys Outa Jail (version)” is credited to Neville Stapes AKA Judge Roughneck, and not The Specials, yet it’s on the new release. So I’m thinking they may have purely just forgotten about it somehow. Shoot, I mean the rare b-side “Racquel”. So it’s definitely a head scratcher that they forgot “Braggin’…” Maybe they’ll rectify this problem before release. Also a major bummer that there’s no truly unreleased songs. I mean, maybe there are none. Although I have to imagine there are some. 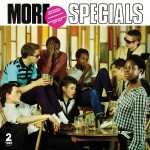 Or maybe even early Specials versions of Special AKA or Fun Boy 3 songs?